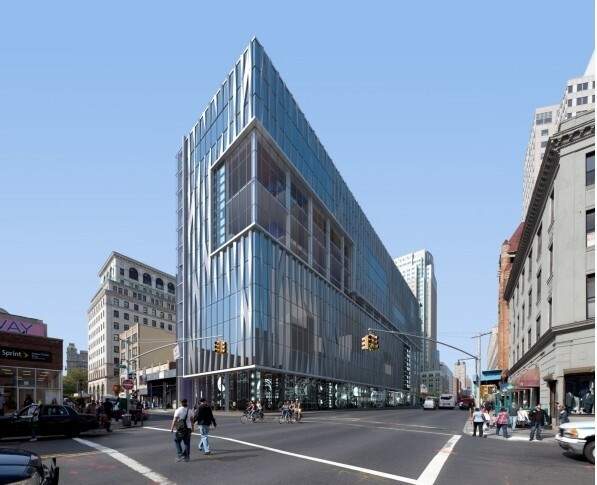 Bids are due Friday for a proposed, new applied science university campus in NYC. Mayor Bloomberg says City Hall will donate land and more than $100 million in infrastructure for the project… but will it change New York’s tech sector? New York City is home to two of the world’s most prestigious liberal arts universities. The Big Apple is rivaled by Silicon Valley, and on some levels Boston, as a home base for internet and other technology firms. However, New York lacks a major science and technology university. Big names such as Cornell University and Stanford University are competing to open a tech campus on the East River… and, well, New York needs it. Mayor Michael Bloomberg’s administration has been vocal about their desire to bring a world-class applied science school to New York City. The media-titan-turned-mayor is accepting proposals for an applied science campus to be built on city land; submissions are due on Friday, October 28. A who’s-who of local and national names are hoping NYC will give them the contract–Stanford University, Cornell University, Columbia University and New York University are all involved in the process. Columbia University and New York University are both A-list liberal arts institutions with robust science and technology programs. The City University of New York network and the many smaller higher learning institutions throughout the city also provide a roster of new local talent for Silicon Alley. But for all that, there’s a problem in the mind of many proud New Yorkers–there’s no local tech equivalent to MIT, Stanford or Caltech. Even though NYU and Columbia have no lack of computer science and artificial intelligence geniuses, they tend to work on purely academic projects rather than creating startup hubs similar to Silicon Valley or Boston’s Route 128. A quick look at Silicon Alley shows that New York’s big tech names are all intimately connected to the city’s pre-existing industries: finance, media, fashion and advertising. To use just a few examples, microblogging giant Tumblr and first-wave survivors IAC and AOL all rely on the media industry. The city is also full of internet startups catering to Wall Street and the finance crowd. However, the five boroughs lack a significant presence in fields ranging from biotechnology to robotics to mobile communications. Part of this problem is geographic. New York City–even the outer boroughs–lack the expansive space needed to build horizontal corporate campuses and testing facilities found throughout the rest of America. Eastern Queens and Staten Island are the only in-city areas with that kind of space, but a tangled list of local political concerns make building there quixotic. Any company that needs a large campus for testing and research can simply look to New Jersey, Long Island, upstate New York or Connecticut. However, the larger problem is that tech hubs almost always grow out of universities. Silicon Alley was an anomaly that was directly created by New York’s status and prestige. But at the same time, the allure of the Meatpacking District’s bottle-service clubs and Williamsburg’s music venues can have a hard time competing with a nearby university infrastructure that’s readily churning out tons of willing programmers and scientists. The support network and pre-existing infrastructure that universities offer start-ups is replaced in NYC by a unique business environment that discourages many sectors from taking root. Proposals for New York’s new tech university reflect this fact. Cornell University wants to team up with Israel’s Technion Institute for Technology to build a Roosevelt Island campus geared towards quickly bringing products to market. Stanford University’s rival campus proposal would integrate with the CUNY system, guaranteeing important political support. Meanwhile, Columbia University argues that they can make the biggest tech university of all by combining a NYC campus with a mammoth Westchester campus. Meanwhile, MIT–perhaps wary of cannibalizing New England talent or maybe because they’re just die-hard Red Sox fans–have opted to build a Russian tech research hub instead. New York City, which is in the middle of a massive budget crisis, will contribute free land and up to $100 million infrastructure costs towards the winning proposal. The winning university is expected open up shop on their new campus sometime around 2015; Roosevelt Island, Governor’s Island, Downtown Brooklyn and the Brooklyn Navy Yard are all being floated as possible sites.